1. Unplug your dishwasher and shut off the water. 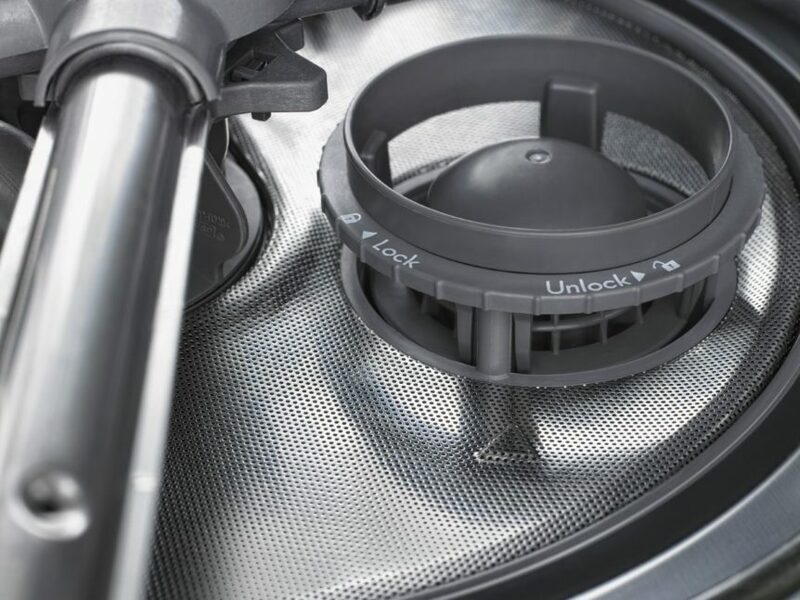 During this repair, you will need to uninstall the dishwasher, and that means disconnecting the water and drain lines. You will also be disconnecting wires, so unplugging the appliance should be the first thing you do. 2. Uninstall your dishwasher and disassemble the spray arm assembly. First, go under the sink and start to disconnect the lines. Start by disconnecting the fill hose by unscrewing the connection point from the local hot water valve. Also, disconnect the drain hose. To do this, loosen the clamp hooking drain hose to the air gap or garbage disposal, then pull the hose off and set it in a bowl to catch any remaining water. Before you fully remove the dishwasher, disassemble the spray arm assembly. Start by pulling out the lower dishrack. Then remove the spray arm. For most Whirlpool models, just grab the spray arm and the diamond-shaped nut underneath it. Twist both ninety degrees so the nut loosens and you can lift up the spray arm. Set it aside. Next, remove the circular base the spray arm rested on. Lift up the extended locking tab in the back and start to turn it counterclockwise. Once that extended tab is free, depress the other locking tabs and the hose, turning the circular base as you go. Pull the base free and set it to the side. There is a flat circular diverter underneath. Just pull the part out and set it aside. Now that the inside is ready, continue to uninstall the dishwasher. Remove the brackets holding the top of the dishwasher against the underside of the countertops. Then open the door to a forty-five-degree angle and pull the appliance out a couple of inches. Then grab the frame to pull it completely out. Set the appliance carefully on its right side. 3. Remove the pump motor. Locate the pump motor on the left side of the machine’s bottom attached to the sump. Pry off the wiring harness with blue wires with a flathead screwdriver. Next, uninstall the diverter motor without fully removing it. To do this, remove the screws around the edges of the diverter motor. Also, disengage the locking tab so you can swing it over the other white motor. This gets it out of the way while you remove the pump motor. After that, find the L-shaped black hose connecting the pump motor to the sump. Loosen the clamp connecting the hose to the sump. Then wiggle the pump motor and hose away. Pull it towards the edge of the dishwasher instead of towards yourself so the tab on the back of the pump motor slides out. Once the part is loose, rotate the pump motor so you can pull the blue and gray wires out of the clip in the back. Now the motor is entirely disconnected. 4. Install the new pump motor. Many times, the part comes from the factory with a squeeze style clamp. These require a special tool to engage and are meant for single-use only. Before you install the part, consider replacing it with a screw-on clamp for easier installation and future access. To install the pump motor, orient it so you can slide the excess length of wires into the clip in the back. Also, slide the long mounting tab halfway into place. As you push it into position, make sure the hose is lined up with the housing to the sump and the portion of the part is going into its housing. Press it further into place until the house is fully seated. Next, tighten the screw-on clamp. Also, plug in the wire harness that you removed from the left side of the old pump motor. Then put the white diverter motor back in place. To start, flip the part back over its vertical axis so the shaft lines up with the hole in the sump. Carefully push the shaft through the sump so the mounting screw holes line up with the cutout holes in the sump and you don’t feel resistance or friction on the diverter shaft. Once it’s flush with the side of the sump, secure it in place with the screws at the right side and bottom. Push the dishwasher back on its feet and make sure the insulation layer is in place. Start the installation process by threading the water lines and plug through the cabinet side holes until they’re under the sink. Push the appliance halfway in, and then pull the lines and power cord in the rest of the way. Push the dishwasher fully in the cavity. Next, secure the dishwasher in place by screwing in the brackets on the underside of the countertop. After that, go under the sink to reattach drain line and clamp. Also, reattach the water line by hand and then with a wrench. Don’t plug the appliance in just yet. 6. Reassemble the interior of the dishwasher. Open the door and start reassembling the spray arm assembly. First, put the diverter circle back on the shaft. Line up the flat side of the central cutout with the flat side of the shaft so it fits easily in place. Next, add back the spray arm mount. Use the raised arrows to orient the part against the bottom of the dishwasher, and then twist it clockwise. As you push it into place, line up the hose with the housing so it connects. Also, listen for the click as the extended mounting tab engages. Press the spray arm and square ut onto the top and twist them ninety degrees clockwise to tighten. Make sure the arm spins and is level. Then slide the lower dishrack back into place and plug the dishwasher in. For more appliance repair guides, troubleshooting tips, or to schedule an appointment for repairs, contact our team at Dan Marc Appliance.